Eight of the 20 Premier League clubs (Chelsea, Everton, Hull City, Manchester City, Manchester United Southampton, Sunderland and Watford) started this new Premier League with new coaches. Whilst only one game out of 38 has been played, SportsMatrix wanted to see if there had been any obvious changes in playing styles of three of those clubs. Although both spells at Chelsea ended unhappily for manager and club, Jose Mourinho, with a wealth of experience, begins his eight season in the Premier League in charge of Manchester United. Both Manchester City and Chelsea have appointed high profile managers, but for Pep Guardiola and Antonio Conte this will be their first taste of managing in spotlight of the Premier League. Whilst the standard of Premier League football may be not as high as that of La Liga, Serie A and possibly also the Bundesliga, there can be little doubt that at the start of the 2016/17 season the Premier League now boasts the best coaches in world football. 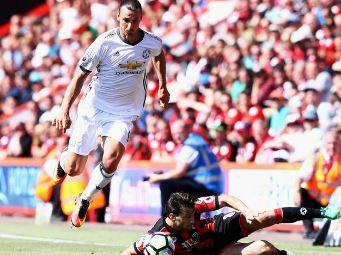 The Red Devils beat Leicester City in the Community Shield, then followed this up with an impressive 3-1 away win at AFC Bournemouth. Their previous visit to Dean Court last December during a winless run of six games, ended in a 2-1 defeat for Louis van Gaal’s team. Jose Mourinho believes in a strong spine to his team and with the additions of Eric Bailly, Paul Pogba, Henrikh Mkhitaryan and Zlatan Ibrahimović, his new look Manchester United look formidable. Mourinho’s direct style differs to that of van Gaal who favoured a much slower high possession passing game, whilst Mourinho prefers the quick transition from defence to attack. It may only be one game, but the data already shows a clear change in football philosophy, with more than a 40% reduction in the number of attacking events per game from Mourinho’s United. This suggests that Mourinho is less obsessed with attack for the sake of attack, but when his team do attack they are far more clinical. 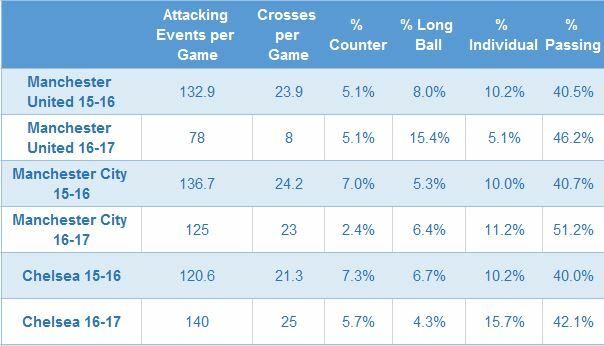 The playing style also appears to have changed, with more focus on delivering long balls, less reliance on individual attacking moves and a slight increase in short passing moves. But whereas van Gaal’s United averaged almost 24 crosses per game, in Sunday’s game against Bournemouth, United delivered only eight crosses. 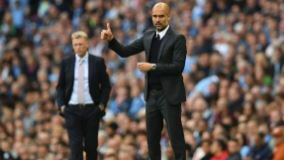 Manchester City had to rely on a late own goal to pick up maximum points against Sunderland; but Pep Guardiola’s effect on a club requires a change in footballing philosophy rather than merely a change of playing style. Guardiola has brought in a number of exciting young prospects, as well as players who fit into his philosophy, whilst several of City’s old guard look as though they will soon be on their way out of the Etihad. Even though Sunderland can count themselves as being unlucky in not holding out for a draw against City, Guardiola’s team, although far from impressive, still averaged close to 77% possession. City started off playing four at the back, but by the end of the game had switched to a back three, with Guardiola moving his two full backs into midfield. The data shows an immediate change in City’s playing style, with Guardiola’s team suffocating the opposition and forcing them to defend deeper, as a result there was a significant decline in the percentage of counter attacks played by City, with a very noticeable increase in the percentage of passing. Like Manchester City, Chelsea were forced to rely on a late goal from Diego Costa to collect maximum points against local rivals West Ham United in Monday night’s game. Antonio Conte fielded a Chelsea team that with the exception of N’Golo Kanté was almost identical to the team that played for much of last season. Regarded as the best manager at this summer’s European Championship, Conte arrives at Stamford Bridge with the task of to taking Chelsea back towards the top of the league after their pitiful title defence last season. 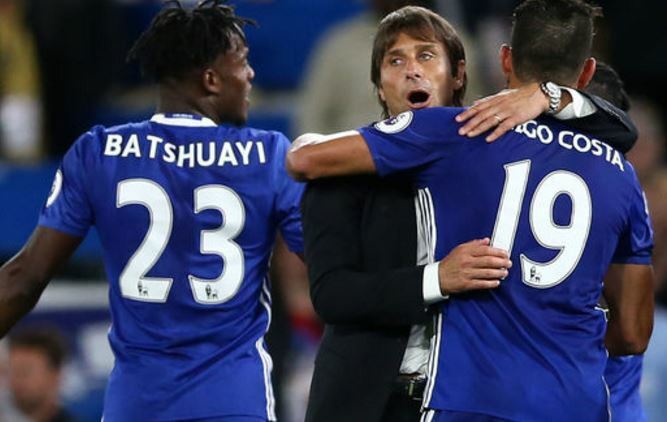 Conte often adopts unorthodox playing styles; but regardless of the style he finally settles on at Stamford Bridge it is clear that he will expect his team to be ultra-fit, very quick and to show tactical intelligence. Conte started against West Ham with a 4-1-4-1 formation, but switched to 4-4-2 late in the game after West Ham equalized. Perhaps the most notable aspect of Chelsea’s game was an increase in their tempo and more aggressive pressing which forced West Ham back into defence for long periods. The data from game 1 shows one significant change over last season, with a more than 50% increase in the percentage of individual plays attempted by the team. Whilst just under half of Chelsea’s 30 plus dribbles were rated as successful, in his first game in charge Eden Hazard showed what Chelsea were missing last season, with him completing nine successful dribbles. After only one game in charge it’s impossible to know if these three managers will bring success to their teams, but there are already signs that Mourinho, Guardiola and Conte are already influencing their respective teams.